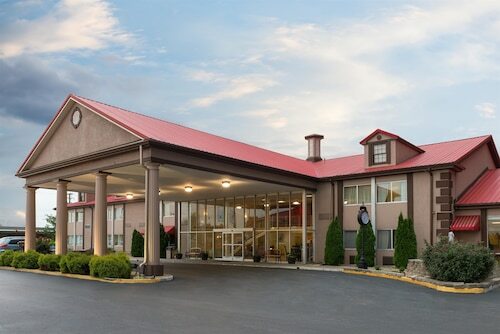 Located in the heart of Bowling Green, this hotel is within 3 mi (5 km) of Aviation Heritage Park, Basil Griffin Park, and Sloan Convention Center. CrossWinds Golf Course and Paul Walker Golf Course are also within 3 mi (5 km). Situated on the Strip, this hotel is within 3 mi (5 km) of Aviation Heritage Park, Basil Griffin Park, and Sloan Convention Center. CrossWinds Golf Course is 3.1 mi (5 km) away. 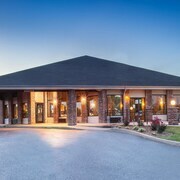 Situated in the suburbs, this hotel is 0.2 mi (0.2 km) from Carroll Knicely Conference Center and 1.8 mi (3 km) from Western Kentucky University. Lost River Cave and Houchens Industries - LT Smith Stadium are also within 2 mi (3 km). 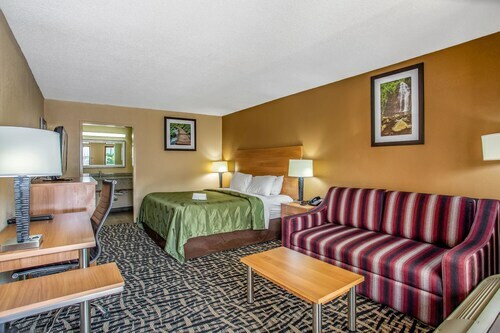 Located in the heart of Bowling Green, this hotel is within 1 mi (2 km) of E. A. Diddle Arena and Western Kentucky University. The Kentucky Museum and Library and Hardin Planetarium are also within 15 minutes. 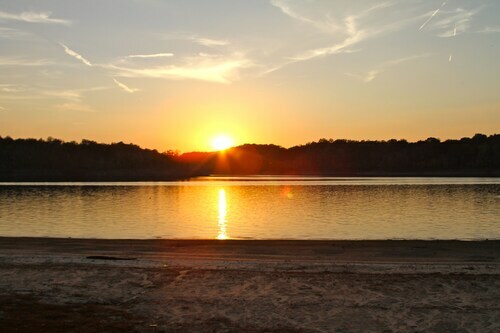 Nestled on the beach, this Lucas hotel is 0.5 mi (0.8 km) from Barren River Lake State Resort Park and 12.3 mi (19.7 km) from Allen County Courthouse. Fort Williams and Plaza Theatre are also within 16 mi (25 km). 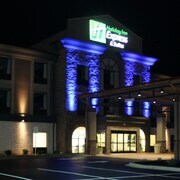 Situated in Bowling Green, this hotel is steps from Sloan Convention Center and CrossWinds Golf Course. Paul Walker Golf Course and Southern Kentucky Performing Arts Center are also within 3 mi (5 km). 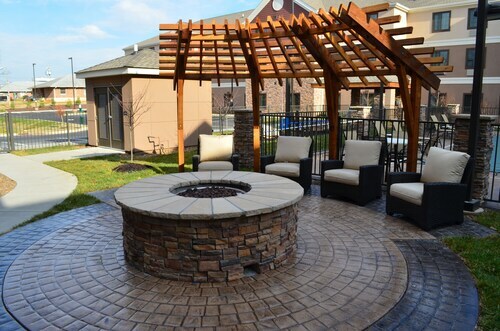 Located in the heart of Bowling Green, this family-friendly hotel is steps from CrossWinds Golf Course and Sloan Convention Center. Bowling Green Ballpark and Western Kentucky University are also within 3 mi (5 km). 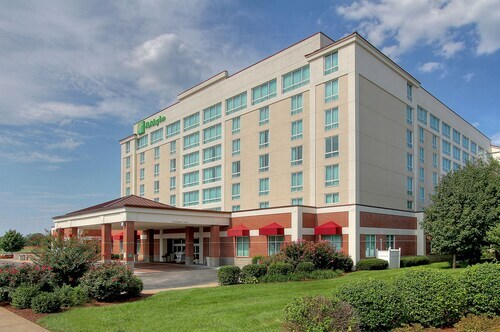 Located in the heart of Bowling Green, this golf hotel is 0.1 mi (0.1 km) from Sloan Convention Center and 2.8 mi (4.5 km) from Western Kentucky University. CrossWinds Golf Course and Paul Walker Golf Course are also within 1 mi (2 km). 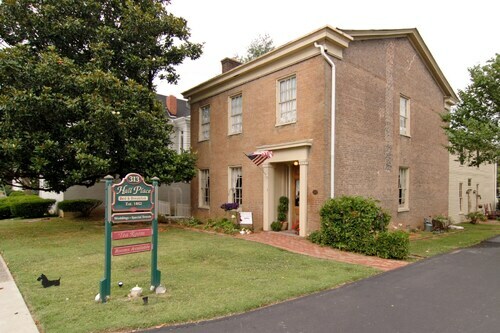 Situated in Glasgow, this bed & breakfast is within a 10-minute walk of Plaza Theatre and South Central Kentucky Cultural Center. Fort Williams is 1 mi (1.7 km) away. 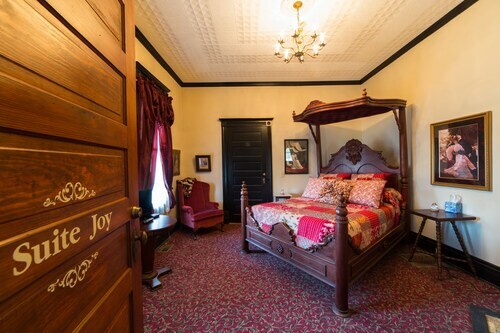 Situated in the historical district, this bed & breakfast is within a 10-minute walk of Plaza Theatre and South Central Kentucky Cultural Center. Fort Williams and Fox Hollow Golf Club are also within 3 mi (5 km). 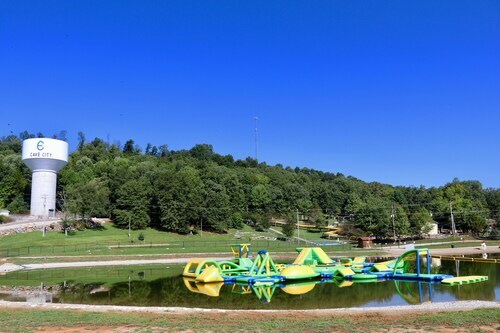 This family-friendly Cave City cabin is within 3 mi (5 km) of Mammoth Cave National Park, Guntown Mountain, and Dinosaur World. Crystal Onyx Cave is 2.7 mi (4.3 km) away. Situated in a rural location, this bed & breakfast is within 3 mi (5 km) of Mammoth Cave National Park, Diamond Caverns Golf Course, and Diamond Caverns. Dinosaur World and Crystal Onyx Cave are also within 9 mi (15 km). You can find 3 star hotels in Glasgow that keep you close to all the great sightseeing and activities around the area, or even book a place that’s a bit more secluded, if that’s what you prefer. No matter what you’re looking for—whether you’re all about the location or are invested in on-site perks--Travelocity will help you find the accommodation that works best for you. When it comes to options, you’ll have them. The Glasgow 3 star hotels give you plenty of choices as far as access to the best areas, and many also offer a breakfast buffet, as well as plenty of other amenities like high-speed Wi-Fi and an on-site pool or spa. Whatever you’re looking for on your next getaway, browse Travelocity’s big selection of hotels to ensure you get the best possible deal. Book one of the best 3 star hotels in Glasgow today! The bathroom pocket door would not stay closed. Other than that it was very nice hotel! It was clean and comfortable...hotel was clean and we enjoyed our stay. We liked the location but it was a rowdy group who left on Saturday morning. Very noisy customers. I really liked the check-in clerk. She was pleasant, smiling, good-natured. She also handled the busy "breakfast" crowd on Saturday and Sunday with great ease. My complaint is the issue with the smell of smoke in my room. To be a non-smoking room, it was obvious someone had been smoking. The smell was evident to a non-smoker. I did not complain to the staff. The hotel is under construction but other than that it’s a nice and clean hotel. Receptionist was very pleasant, professional, and helpful!